As a homeowner, the FIRST STEP is to hire a strong real estate agent (Link to our link of agents) to sell your property. You'll fare best with sound marketing exposure and a strong negotiator. The most reliable way to hire a real estate professional is to investigate more than one specialist. Here are tips to help guide you. (Link to Choosing an agent). Before we put your property on the market, the Realtor will tour your home and help you see it through a buyer’s eyes. They can recommend simple repairs and improvements for your home’s interior and curb appeal that will increase the marketability of your home. Your RE/MAX Douglass Realtor can also provide you with creative tips on using lighting and pleasant aromas to create a warm and inviting atmosphere that will appeal to the home buyer’s senses. You also may want to consider a professional pre-sale inspection. Your RE/MAX Douglass Realtor can recommend inspectors with proven track records. Taking this added step to identify potential problem areas before you sell – and attending to them or disclosing them to the buyer up-front – will improve the speed, price and likelihood of a sale. Property pricing your home is the most crucial element in making a successful sale. Under-price it, and you lose on your investment. Over-price it, and you may discourage potentially qualified buyers. And because most homes lose market value if they linger on the market, there’s no time for trial and error. The greatest amount of buyer activity occurs during the first three to four weeks. Then it begins to taper. If you start too high and reduce your price later, you’ve lost your best opportunities and now must settle for a smaller pool of potential buyers. A RE/MAX Douglass Realtor will help you establish a fair asking price based on general market data and recent sales in the area of homes similar to yours. From there, they’ll take into consideration other factors that may affect the value of your home, such as the location and condition of your property. Then, they’ll continue to advise you on competitive adjustments until your home is sold. 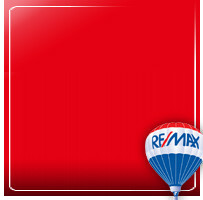 Based upon the asking price, your RE/MAX Professional will prepare a "net sheet" for you. This worksheet itemizes costs associated with selling your property and subtracts them from the sale price, thus estimating the net cash you will receive from the sale. When you have set your price and are ready to sell, your RE/MAX Real Estate Professional will help you complete a Listing Agreement. This agreement authorizes the listing broker to market your property under certain conditions, including but not limited to terms, price, commission and time period of the listing. When signed by both parties, this Listing Agreement becomes a contract between you and the broker. It takes more than a “For Sale” sign in your yard to generate serious buyers, especially since 40 percent of home buyers relocate from out of town. Your RE/MAX Professional will now start the wheels in motion to show your home to as many real estate agents and prospective buyers as possible. They will submit the listing to the Keweenaw Multiple Listing Service (MLS). It is the single most important place to promote the sale of your property. Information about your property will be entered into the MLS computer data bank for immediate access by all agents in the Keweenaw MLS. 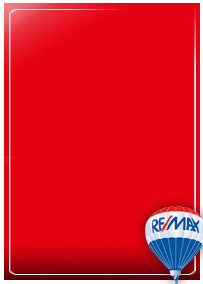 Of course, your RE/MAX Douglass Realtor will place the highly visible and most-recognized RE/MAX balloon yard sign on your property. The property will be advertised in local newspapers and publications on a regular basis. Your property will also be displayed on our website, KeweenawRealEstate.com. The internet plays an ever-increasing role in the marketing of real estate. Traffic at KeweenawRealEstate.com has increased dramatically over the past year, 27% more visits and doubled the daily hits. We advertise our site and link from many other popular sites so your property can be found with the least amount of clicks. Your RE/MAX Professional will develop a marketing campaign designed exclusively to give your property high profile and get maximum value. Keep it neat! A clean, neat home allows buyers to see the "home" itself when previewing your property. Clutter tends to divert attention away from the most saleable features of your home. Dirty dishes and messy rooms leave buyers with a negative impression of your property. Whether or not you are there when your home is previewed, the sales agent will leave a business card so that your RE/MAX Professional will be able to make an inquiry about the showing. Avoid participating in the conversation between the agent and the buyer. When real estate professionals arrive with buyers, graciously greet then and excuse yourself. If asked a specific question about your home, answer as briefly as possible and let the agent continue the conversation. Buyers appreciate the comfort of being able to compliment features or verbalize objections without being overheard by the owner. And when an open house is scheduled, arrange to be away during that time. When a buyer signs an offer to purchase your home, either your RE/MAX Douglass Realtor will present the offer to you in person or via phone, depending upon custom and your availability. The written offer to purchase should include detailed information about the buyer's offer. Together with your RE/MAX Douglass Real Estate Realtor, you will review the price, the amount of earnest money deposit, the proposed closing and occupancy date, any contingencies, and the buyer's ability to qualify for a loan. Your RE/MAX Douglass Real Estate Professional will help you through the myriad steps of closing, including handling of the many details. Following the closing, you will receive a final settlement statement for your records that clearly illustrate all fees paid by you to close the contract.